A Country Rose Our records show that this inn is closed. Hearthwood Bed & Breakfast Our records show that this inn is closed. Hazelwood Our records show that this inn is closed. 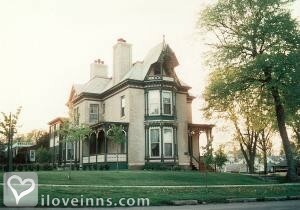 Hastings bed and breakfast travel guide for romantic, historic and adventure b&b's. Browse through the iLoveInns.com database of Hastings, Minnesota bed and breakfasts and country inns to find detailed listings that include room rates, special deals and area activities. You can click on the 'check rates and availability' button to contact the innkeeper. Located in the counties of Washington and Dakota, Hastings is the county seat of Dakota County and it got its name from the first elected governor of the state of Minnesota. Naturally beautiful and rugged, Hastings is the best scenic river town because here you can see the confluence of the Vermillion, St. Croix, and the Mississippi River. Hastings combines its present with its past with remnants of the City's history with old buildings still standing as silent memoirs of years gone by. Much of its natural resources has been kept as it was centuries ago and that is the reason why Hastings has always been a favorite destination of history and nature lovers from everywhere. Try any of the Hastings bed and breakfast when you are in town. By Classic Rosewood - A Thorwood Property.